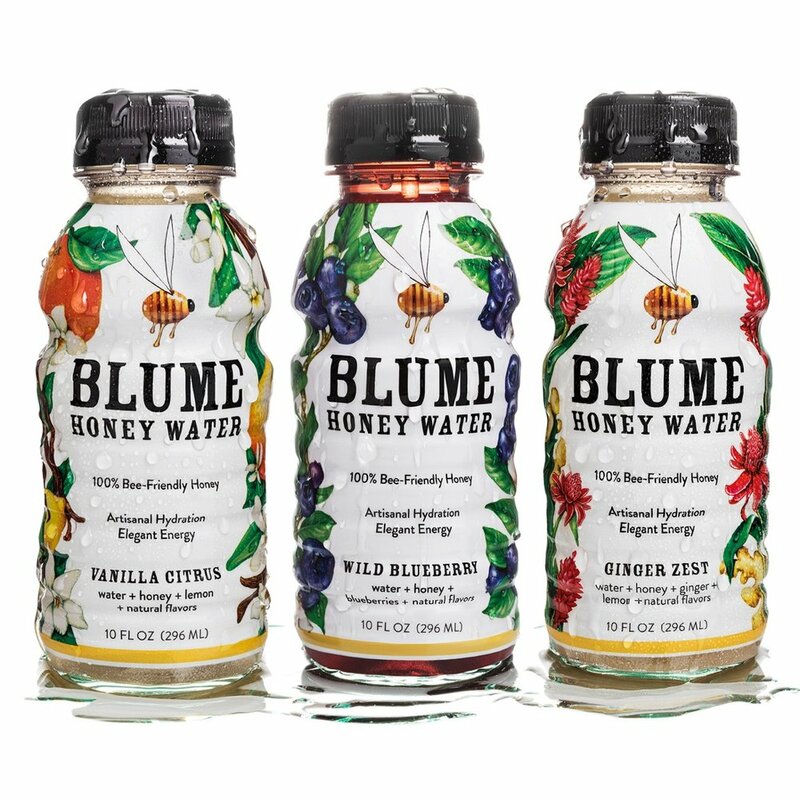 As the CCO of Blume Honey Water, I had a lot of fun creating the logo and packaging for our first three delicious flavors. 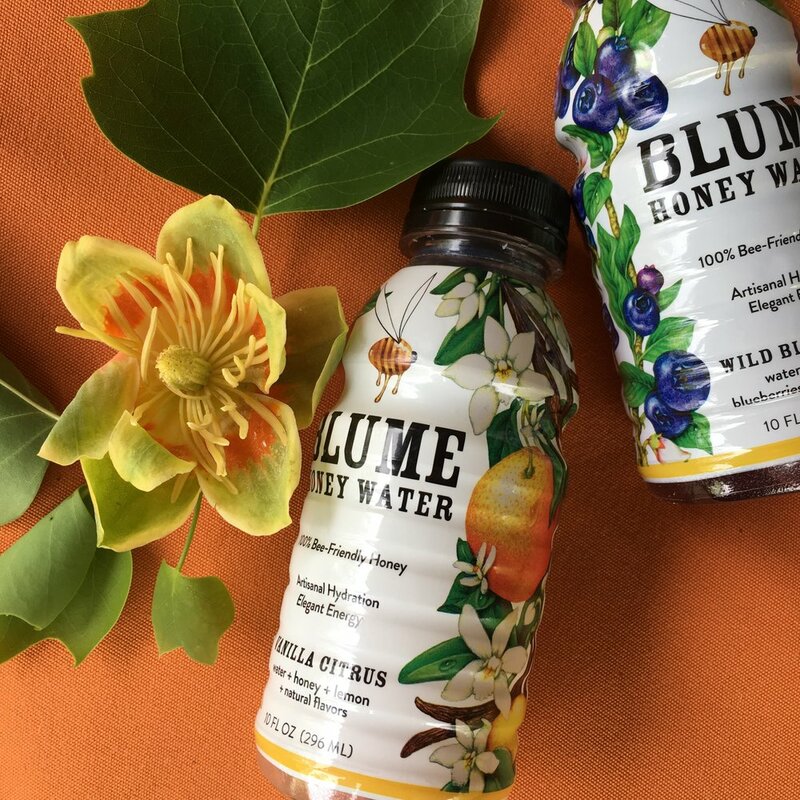 The bee logo demonstrates that Blume is kissed with pure honey and also shows our love for our little bee friends. The florals demonstrate the beautiful fruits and spices we use in our recipes. Labeling tweaks in search of perfection.